Melbourne is known for museums, shopping, parks, nightlife, and zoos & aquariums. 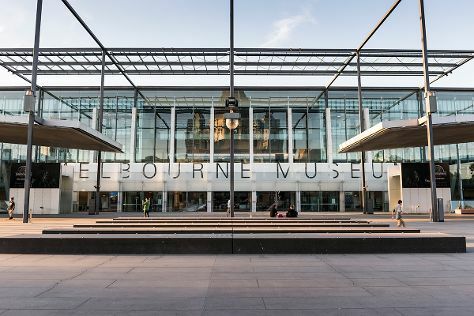 Your plan includes some of its best attractions: admire all the interesting features of Royal Botanic Gardens, make a trip to Block Arcade, contemplate the long history of Shrine of Remembrance, and explore the world behind art at National Gallery of Victoria. To find ratings, maps, more things to do, and other tourist information, you can read our Melbourne trip builder site . Kuala Lumpur, Malaysia to Melbourne is an approximately 11-hour flight. Due to the time zone difference, you'll lose 2 hours traveling from Kuala Lumpur to Melbourne. Plan for much colder temperatures traveling from Kuala Lumpur in May, with highs in Melbourne at 20°C and lows at 9°C. You'll have a few hours on the 17th (Fri) to wrap things up before traveling to Sydney. You've now added Blue Mountains Tours to your itinerary. 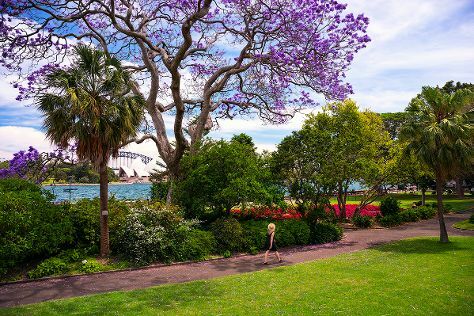 There's lots more to do: take in nature's colorful creations at Royal Botanic Garden Sydney, browse the eclectic array of goods at Sydney Fish Market, take a stroll through Darling Harbour, and take in the views from Sydney Harbour Bridge. To find more things to do, photos, where to stay, and tourist information, you can read our Sydney trip itinerary planner . You can fly from Melbourne to Sydney in 3.5 hours. Alternatively, you can do a combination of shuttle and flight; or drive. Expect a bit warmer temperatures when traveling from Melbourne in May; daily highs in Sydney reach 24°C and lows reach 14°C. You will have some time to spend on the 20th (Mon) before leaving for home.